Loved meeting the young Charles Lenox! I have enjoyed this series from its beginning in 2007...I have moved 3 times and these books go with me...great writing and endearing characters. 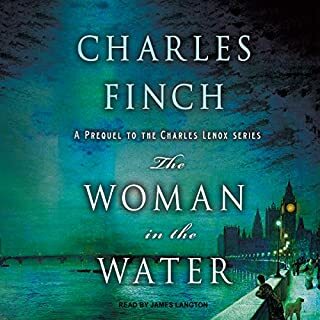 Always an intriguing mystery and The Woman in the Water is a good one. I appreciate how the history of the era is revealed in the storyline ( Lenox is fascinated with the new safety matches that come in a box ). The narrator does a superb job! I was hoping all the reviews were correct... was it really a whodunnit written in the style of Golden Age of detective stories? Yes, is was an intriguing story and so much more. I found myself so wrapped up in this mystery that I would set a time in my day to actually brew some tea and listen to my book. I savored this mystery as much as my tea. 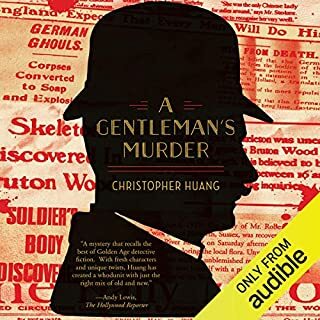 It was made more poignant due the fact that I finished it on Veterans Day and on the 100 year anniversary of WW1.Christopher Huang, I hope this isn’t my only encounter with Eric Peterkin and the Britianna Club. Mr. Corkhill did a superb job with the narration.